When it comes time to move to a new city, you have to weigh the pros and cons to ensure living there will be a pleasant experience. Does the ease of getting around the city make a difference? Or the pay at a new job? What about the area's reputation as a cool place to visit? To rank the Best Places to Live, U.S. News assesses statistics for the country's 100 largest metro areas, including each location's job market, cost of living, crime rates, educational quality, availability of top-notch health care and more. Each category is weighted based on a survey of 2,000 people across the country and what they said matters most to them when picking their next place to live. Read on for the 25 Best Places to Live in the U.S. in 2017. Nebraska’s largest metro area scored highest for its value. Omaha is the second-most affordable place to live on the Best Places list, behind Des Moines, Iowa. Located about 100 miles south of the District of Columbia, Richmond attracts visitors every year for its role in American history, and more people are moving to the area thanks to its growing job market. Top employers in the area include Capital One Financial Corp., VCU Health System Authority and the HCA Virginia Health System. San Antonio is seeing similar growth in its job market and population as nearby Austin, Texas. Between 2011 and 2015, San Antonio grew by 6.6 percent due to net migration alone. What San Diego lacks in affordability – it’s one of the most expensive metro areas on the list – it makes up for in desirability. San Diego’s beautiful beaches and laid-back vibe make many Americans wish they lived there. Sarasota is another metro area with a reputation for being pricey to live compared to the typical annual income, but its recent rapid growth shows that plenty of people are willing to take on the extra costs. The Sarasota metro area grew by 10.7 percent from 2011 to 2015 due to net migration, the second-greatest population growth in that time period after only Fort Myers, Florida. Houston rounds out the top 20 with high marks for its cost of living compared to the median annual salary, as well as for its growth due to net migration. Houston is the second of four Texas metro areas in the list of top 25 Best Places to Live in 2017. Falling a few spots after finishing at No. 13 on last year's list, Grand Rapids is hailed for its low cost of living, low crime, short commutes and high rate of college readiness among area high school students, as scored by the U.S. News Best High Schoolsrankings. Madison receives its highest score for having a solid job market. With a median annual salary of $47,490, unemployment is just 3.2 percent, according to the U.S. Bureau of Labor Statistics. Minneapolis-St. Paul is hailed for its low cost of living, as residents typically spend just over 25 percent of their income on housing expenses, including utilities. The area also has an unemployment rate of just over 3.5 percent. San Francisco receives high scores for its desirability among residents, job market and its population growth due to net migration, but it’s also one of the most expensive places to live in the country. Residents of the San Francisco metro area spend more than 31 percent of their income on housing expenses. The Dallas-Fort Worth metro area comes in at No. 15 for its large growth, thanks primarily to relocation to the area, a solid job market and relatively low cost of living compared to similar-sized cities. Ranked No. 21 on the 2016 Best Places to Live list, Dallas-Fort Worth moves up six spots this year. Charlotte saw its population grow just over 6 percent between 2011 and 2015. And many people appear to be moving to the area out of simple desire, as Charlotte is the 15th most desirable place to live in the U.S. in 2017. Nashville receives high scores for net migration and desirability, along with the area's relatively low cost of living. Another plus: Music City residents spend just over 27 percent of their income on housing. Idaho's capital city receives its highest score due to population growth, with Boisegrowing by 5.8 percent between 2011 and 2015 due to net migration. And with an unemployment rate of 3.7 percent, Boise’s job market continues to attract new residents to the area. As the No. 2 most desirable place to live this year, Colorado Springs also scores well for its low cost of living. The median home price is nearly $25,000 less than nearby Denver. Salt Lake City rounds out the top 10 in 2017 – after ranking No. 27 last year – particularly for the area’s high value score. Salt Lake City residents spend less than 26 percent of their income on housing expenses. Iowa’s capital city is the most affordable place to live of the 100 largest metro areas in the country. Des Moines residents spend just 23.8 percent of their income on housing. With an unemployment rate of just 3.5 percent and a median salary over $60,000,Boston has the strongest job market of the 100 largest metro areas in the U.S. Boston also receives high scores for its desirability. Americans surveyed placed the New England city high on their list of places they’d like to live, given its reputation for being a big city with the friendliness of a small town. The metro area best known for boasting three renowned colleges – Duke University, University of North Carolina–Chapel Hill and North Carolina State University – scores highest for its low cost of living and steady growth. Raleigh and Durham grew by 6.4 percent due to net migration from 2011 to 2015. Whether it’s the presence of major corporations such as Microsoft, Amazon and Starbucks or the rainy-but-mild weather, Seattle ranks high on the list of desirable places to live in the U.S. This Pacific Northwest city’s lowest score stems from its average commute time, as area residents spend an average of 29 minutes heading to work in the morning. Fayetteville is the fastest-growing metro area in Arkansas, having grown more than 6 percent from 2011 to 2015 due to net migration. Fayetteville also has the lowest unemployment rate (2.95 percent) out of the 100 metro areas ranked. The District of Columbia offers ample employment opportunities, both in the public and private sectors. And with a high median annual salary, the area's pricey cost of living is more affordable for the typical resident. As the heart of Silicon Valley, it’s no secret San Jose has a strong job market, a high desirability score and impressive population growth due to net migration. It also ranked the No. 1 metro area for college readiness among high school students. The No. 1 Best Place to Live in 2016 slides to No. 2 this year. Denver’s highest score comes from U.S. residents’ desire to live in the Mile High City, followed closely by its population growth – 6.3 percent due to net migration from 2011 to 2015 – and strong job market, with just 3.2 percent of area residents unemployed. With high scores across the board, Austin takes the top spot in the 2017 Best Places to Live in the U.S. list. 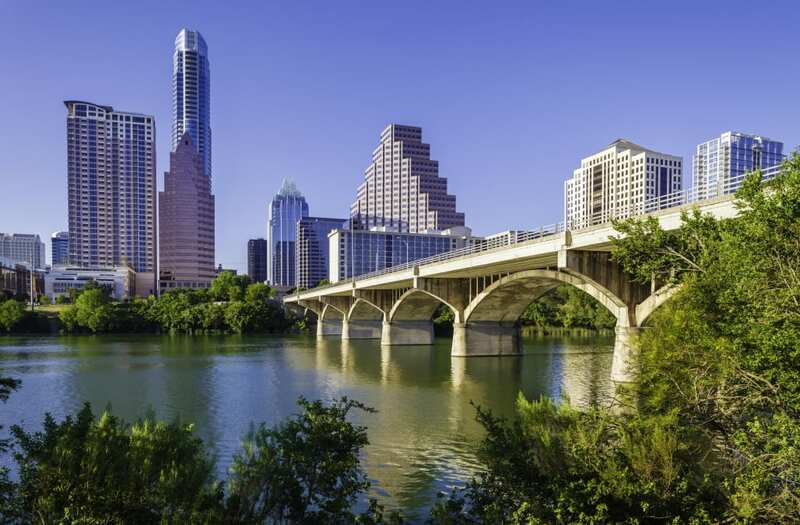 As an increasingly popular alternative for tech companies to the more expensive San Jose and Seattle, Austin has a strong – and growing – job market that's also able to meet the needs of the area's growing population. From 2011 to 2015, the Austin area grew by nearly 10.5 percent due to net migration alone, making it the third fastest-growing metro area after Sarasota and Fort Myers.